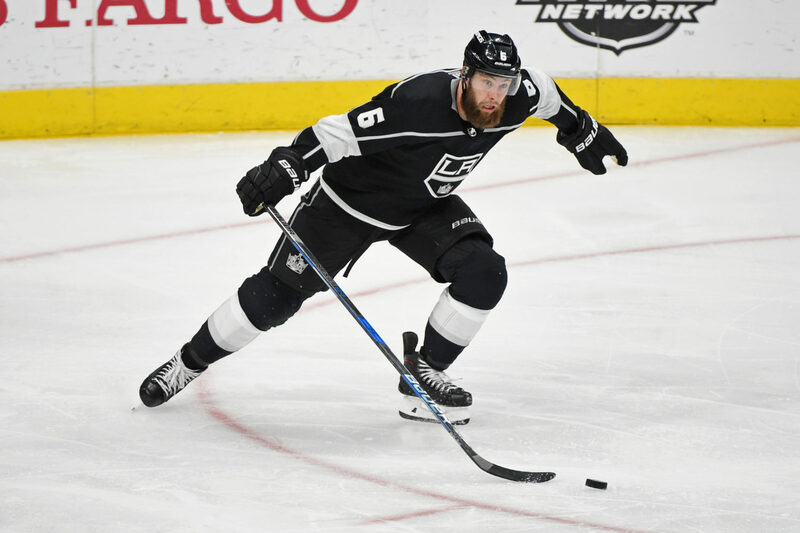 Jake Muzzin weathered a heavy hit by Micheal Ferland during the second period of Monday’s 3-0 win over Calgary and did not return to the game. As shared by a club representative in the press box late in the second period, he suffered an upper-body injury and would not return. Muzzin returned to the dressing room shortly after returning to the bench. Head Coach John Stevens was asked about the extent of his injury after the game and responded, “I’m not sure yet.” More information on Muzzin should be learned over the coming days, though Tuesday is a scheduled day off in which the team won’t practice. Muzzin’s loss for any period of time would be a major blow for a team that sits in the first wild card position with five games remaining in the regular season and surrounded by teams in the standings with at least one game in hand. Having set career-highs with 34 assists and 42 points through 74 games, Muzzin has emerged as a quality number two defenseman who has made major strides in consistency and reliability in 2017-18. He is used in all situations, averaging 2:15 per game on the power play and 2:22 of shorthanded time as part of a 21:50 per-game average. Both Kings-Flames games at Staples Center this season resulted in upper-body injuries for Los Angeles skaters. On October 11, Kyle Clifford did not finish the game after getting hit by Calgary defenseman Michael Stone and missed the next 28 games. Los Angeles returns to the ice for a back-to-back set versus Arizona and at Anaheim on Thursday and Friday.